These huge reptiles roamed the earth 100,000,000 years ago. THE LIZARDS that ruled the world some 100,000,000 years ago were quite a sporty bunch, as you can see from the photos on these pages. 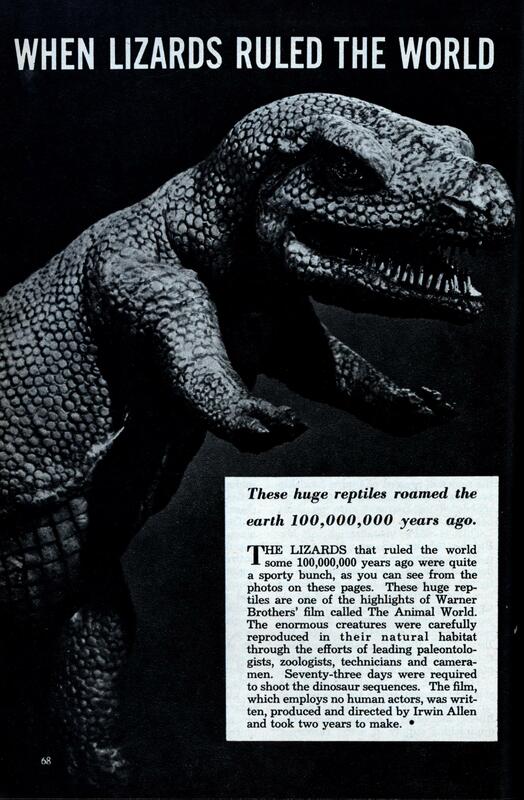 These huge reptiles are one of the highlights of Warner Brothers’ film called The Animal World. The enormous creatures were carefully reproduced in their natural habitat through the efforts of leading paleontologists, zoologists, technicians and cameramen. Seventy-three days were required to shoot the dinosaur sequences. 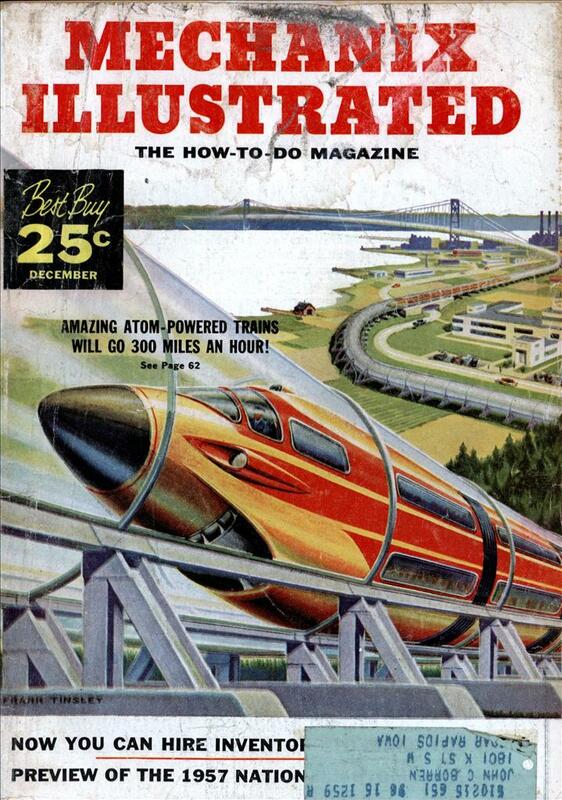 The film, which employs no human actors, was written, produced and directed by Irwin Allen and took two years to make. Pretty silly considering what we now know about these creatures but did you note the name of the director? There are clips from this movie shown briefly in the movie WarGames (which in itself is a fun journey to a prior age). Wow. Those are… quite the captions.